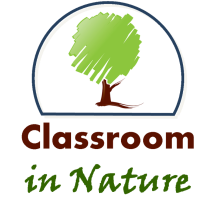 Outdoor education is limited because many instructors feel there are practical difficulties that exist with outdoor classrooms. Some of the difficulties that instructors mentioned included “size, condition, and location of the outdoor space” (Maynard and Waters, 2007, p. 262). Another difficulty that exists is the fact that many of the physical buildings where students learn are not designed to allow children easy access to an outdoor environment, and so the free-flowing transition from indoor to outdoor and vice versa is not there. Another very important reason why teachers do not use outdoor classroom space is the observation that these teachers “were not fully aware of the potential uses and benefits – the affordances – of outdoor environments” (Maynard and Waters, 2007, p. 262). When a respondent did try to justify outdoor play they relied on their own childhood experiences. In other words, when a teacher did allow outdoor play, it was only because she did it as a child, not because she knew of the developmental benefits. Also, a teacher’s protective attitude towards students leads to less spontaneity, playfulness, and risk, which ultimately favors learning in a more controlled indoor setting. “Overall there seems then to be a contradiction between interviewees acknowledgement of the importance of a ‘natural’ and sensorially rich childhood, yet an absence of outdoor provision in practice in early years settings” (Kernan and Devine, 2010, p. 379). The experimenters noted that in the context of concerns about child safety and risk management, the understanding of this contradiction is more evident. Education and care workers also feel the needs to assume children’s early competency and to be protected from risk, and so feel as if they are serving the best interests of the child. Thus, there are several cultural and physical issues that must be overcome in order for teaching in outdoor classrooms to become common.